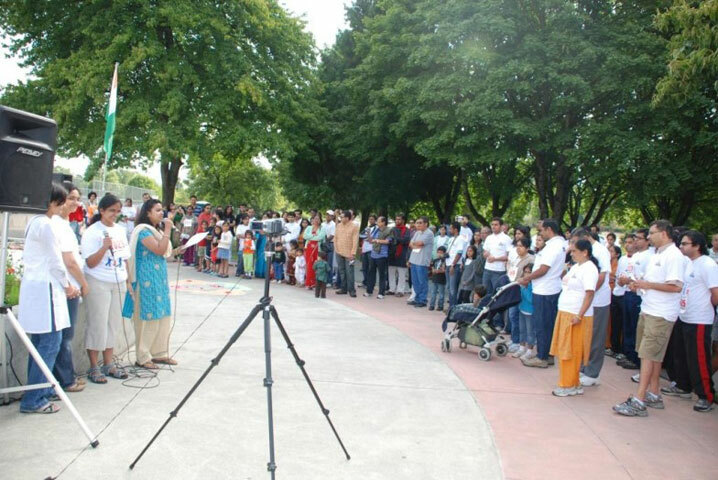 Ekal Vidyalaya Seattle Chapter organized the first ever walk/run event on Aug 15th, to mark the 63rd Independence Day of India, at Marymoor Park in Redmond. 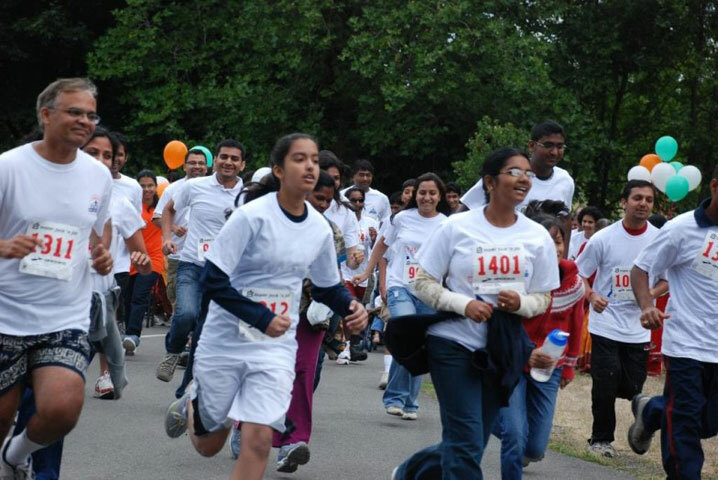 The event saw an overwhelming response from the local Indian community with more than 200 runners and 270 total attendees. All of this for a common cause: liberate the tribal children of India from illiteracy. The invitation to participate in the event was extended to one and all. Parents with kids in strollers to little kids just learning to walk, young adults to senior citizens were all out on the trails of Marymoor this fine Saturday morning. "Neeti walked 1 km!" beamed the mother of a 1.5 year old. She was most certainly the youngest marathoner there. The event started with Vasavi Epari, an Ekal volunteer, announcing the program details. She first called upon stage the Chief Guest of Honor, Sri Janardhanam Reddy, a 1971 war veteran, to hoist the Indian National Flag. He was accompanied by his wife, Smt Laxmi Reddy, also a retired army medical corps nurse. 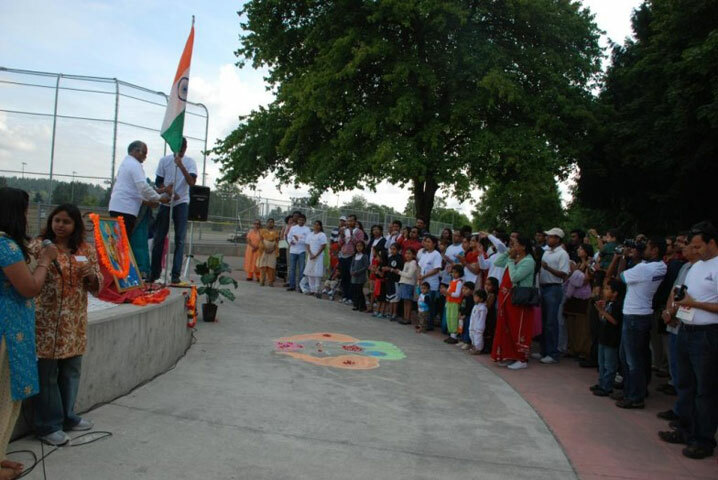 The flag hoisting was followed by the resounding rendition of the Indian National Anthem. Ganga Narayanan, a local vocalist, filled the air with a few additional patriotic melodies, including Vande Matram and Jayostute. The race commenced soon after. The Ekal team had announced prizes for the winners, which included gift certificates to shoe stores and free unlimited yoga lessons. The enthusiasm was clearly visible in the young runners hoping to clench one of the awards. Right from the time of the registrations to the time the awards were distributed, the event was very well choreographed. All locations, such as registration tables, the race course, food stations etc, were meticulously marked. All runners were given out race packets, which included race bibs and Ekal T-shirts. There were water stations located at the Start/Finish and throughout the course making it easy even for the first time runners to get to the finish line. A lot goes into making an event like this flawless and it truly demonstrated the tireless efforts of the dedicated Ekal volunteers. 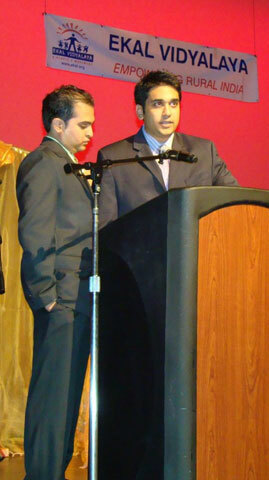 Ekal organizes several of these events in different parts of the United States during the course of the year. 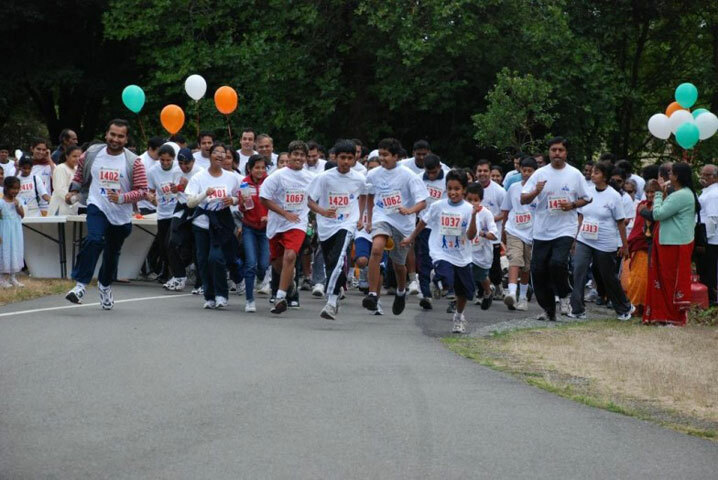 One of the events that has received an overwhelming response, especially in the bay area, is the Ekal marathon. 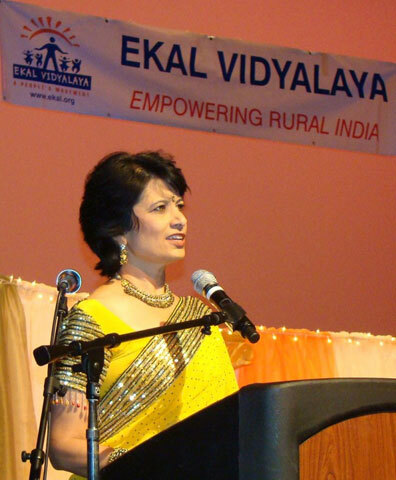 The Seattle Chapter of Ekal Vidyalaya has been organizing the Ekal Marathon program for the past two years as well. The program provides comprehensive six month endurance training to all participants. 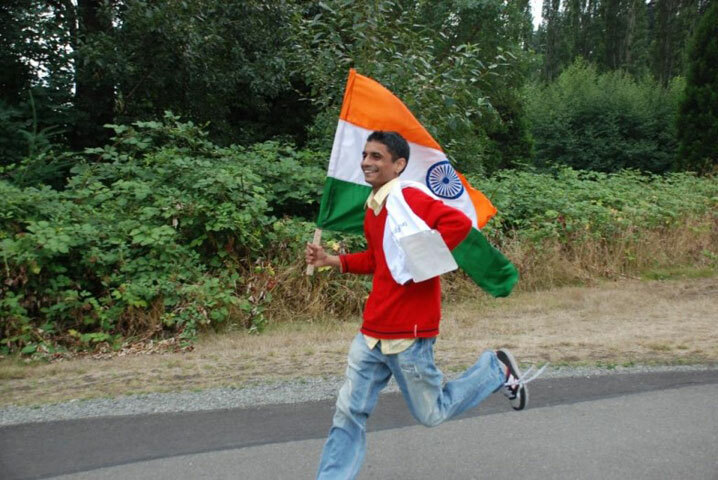 Registrations for the 2010 marathon are accepted by email at Marathon@EkalSeattle.org. In addition to raising funds for the Ekal schools, the purpose of these events is also to raise awareness of the Ekal movement and get more and more people involved in this noble cause. 100,000 schools by the year 2015 in the remote corners of India is a goal Ekal has set to achieve. As of July 2009, Ekal has 26797 schools with 769575 registered students. Every small step can only help in further supporting this mission. I salute the Ekal team for their perseverance and dedication and wish them the very best with their ongoing endeavors. Ekal Vidyalaya Foundation Fund Raising Musical Evening Program was a successful event well attended by over 1100 Houstonians at the Stafford Convention Center on the auspicious day of Ganesh Chaturthi. Many of Houston's well known personalities attended the musical evening and donated generously. Sri Jugal Malani, Ekal National advisor welcomed all with a note that the goal of Ekal is to provide education in the remote underprivileged Tribal areas. The Chief Guest was Consul General Mr. Sanjiv Arora and the Keynote Speaker was Dr. Renu Khator, University of Houston Chancellor and President of UH systems. Mr. Sanjiv Arora noticed the importance of Ekal Vidyalaya's efforts and suggested that Ekal can partner with Government to reach remote villages with the new law passed. Rishi Bhutada, a young businessman and community activist, introduced Dr. Renu Khator. Dr. Renu Khator thanked the Houston community for supporting her in the community. She emphasized the need for support of Ekal Vidyalaya by showing India's position in the literacy world. There are 113 million children worldwide without any education and 60% of those are girls. The income level of 90% literacy communities is 50% higher than 50% literacy ones. In rural India, teacher availability is 70% and out of that 25% remain absent. India is behind Kenya and Nicaragua in literacy. It is important that every child has an opportunity for education, learning and hope. That is where Ekal Vidyalaya and you come in. It took 72 years after Gandhi's 1937 vision to pass an enforceable bill for compulsory education for every child. The public sector can't do it alone and Ekal Vidyalaya is very important in reaching remote areas, Dr. Khator continued. She appealed all to support Ekal Vidyalaya with their hearts and pockets. Every child should have a dream, hope and opportunity to maximize his/her potential. Dr. Khator reminded the audience of Hira Ramji Ambedkar, the architect of India's constitution who as an "untouchable" boy came from a small village in Madhya Pradesh and through education he reached a high level. Humbly she said that she herself got an opportunity of higher education in USA and reached this level. That is where the NGOs like Ekal Vidyalaya Foundation come in and are making much progress. Ekal Foundation has a goal to reach out to these children, establishing 100,000 schools in tribal villages of India where education otherwise would be an impossible dream. The program was started with a prayer by Preet Prerana, of Baweja Group which came from India and is doing 40 such fundraising programs. After that, the "Lamp of Knowledge" was lighted by the city controller now running for the seat of Mayor of Houston Ms. Annise Parker, Dr. Renu Khator, Mr. Suresh Khator, City of Stafford's Councilman Mayor Pro Tem Ken Mathew, Mr. and Mrs. Subhash Gupta, Mr. and Mrs. Jugal Malani, Mr. and Mrs. Prakash Shah and others. Followed by Bhakti Sangeet by Baweja group, donors names were announced as pledges came pouring in from the audience. Ms. Mansi Mehta, a young high school graduate from Houston, shared her experience of visiting an Ekal School in village of Dediapada in the state of Gujarat in India during vacation with her family in July 2009. Interacting with Ekal school kids, she saw the very message of hope. She saw that these innocent yet bright children who are just underprivileged and, if someone is willing to hold their hand, provide basic education and guide them, they can be the future leaders that India needs. Later in the evening a short film on Ekal's work and mission in Jammu and Kashmir region of India was shared with everyone and people donated generously for the noble cause of education. During this fun filled evening with a lofty mission and higher purpose, more than $430,000 to support 1180 schools were pledged by generous donors for the noble cause of educating the underprivileged children of Indian subcontinent. The program ended with Dr. Renu Khator giving appreciation plaques and flowers to all the musicians who came all the way from India especially for raising Ekal awareness. They sang patriotic songs "Jahan Daal Daal Pe Soneki Chidiya karati Hai basera Wah Bharat Desh Hai Mera" and "Aey Mere Vatan Ke Logo Jara Ankh Me Bharlo Paani", keeping the audience spellbound throughout the wonderful musical evening. This program would not come to fruition, as always, without lots of dedicated volunteers who devoted their time, the most valuable resource of all. They are the backbone of the Ekal organization with lofty goals and mission of bringing education to the masses as Swami Vivekanand quoted many times that "If the poor boy cannot come to education, education must go to him!" This has been the mission of Ekal since its very inception. The Rice Club of Lake Highland US has taken initiative by donating $365 for Ekal Schools for the first time. In Tamilnadu two FTS Chapters are already functioning extremely well in Chennai & Coimbatore. The Third Chapter of Tamilnadu and the 25th Chapter in the Country was formally inaugurated on 23rd August, 2009 on the auspicious day of Ganesh Chathurthy. The program was chaired by Smt. Pratibha Poddar, a leading industrialist of Erode. The prayer was by the Children from Ekal Vidyalaya in the Erode Anchal. Sri Rameswarlalji Kabra, the National Patron of FTS announced the list of office bearers of the Erode Chapter and blessed all the office bearers. The presence of Sri M.L. Jain, the National Patron, Sri S.N Loya, the National Vice President, Sri Shyam Sunder Dammani, South Zone Chairman, Sri Gouri Shankar Gupta & Smt. Sangita Gupta graced the occasion. The delegates from Coimbatore & Chennai chapters were also present to congratulate the new Chapter. On 1st of August, 2009 Ekal Karyakartas celebrated the festival of 'Rakhi' at 'Ekal Bhawan' in Delhi with traditional but unique fashion. Smt. Sangita Gupta, Secretary EVFI, who is popular as 'Didi' among all the Karyakartas, tied Rakhi on the wrist of hundreds of Ekal Volunteers and also offered them gift. Later, a sumptuous food was served to all. It was really a memorable event. 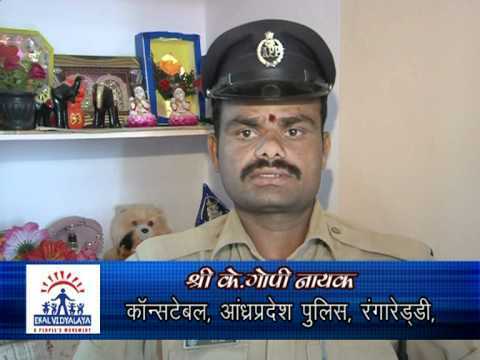 Ekal Vidyalaya Foundation of India?s trustee Sri K.N. Memani has taken over as Chairman of the Foundation. His introduction in brief is being given here. Sri Memani, is a Chartered Accountant. He was Chairman and Country Managing Partner, Ernst & Young, India until 31stMarch, 2004. He was also member of Ernst & Young Global Council for last 10 years. Currently, Mr. Memani is a member of the Expert Committee constituted by the Ministry of the Company Law for the amendment of the Company?s Act. He is also member of the National Advisory Committee on Accounting Standards (NACAS) and member of Accounting Standard Board of the Institute of Chartered Accountants of India. For two consecutive years, Sri Memani was on the External Audit Committee (EAC) of the International Monetary Fund and was appointed the Chairman of EAC for the year 1999-2000. He is the only Indian appointed in this committee by IMF. Sri Memani is associated with various Chambers of Commerce. He is the immediate past Chairman of American Chamber of Commerce in India, former President of FIEO and Indo American Chamber of Commerce. Currently he is Immediate Past President of PHD Chamber of Commerce, member of managing committees of FICCI, American Chamber and Indo American Chamber of Commerce. Sri Memani is also Member of the Board of Governors of IIT, Roorkee, INFINITY Management School, Jaipuria Management School, Charitable and Philanthropic Trusts. Smt. Sangita Gupta, Ekal Global Coordinator has been appointed as Secretary, EVFI. 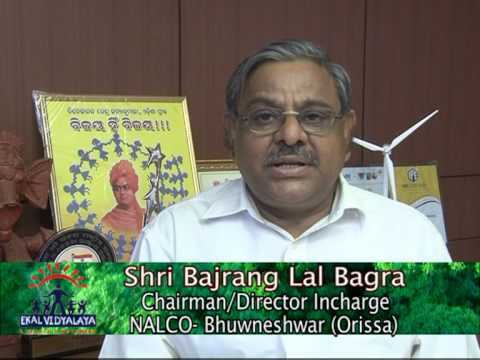 In the Friends of Tribals Society Sri Sajjan Bhajanka, a renowned industrialist from Kolkata takes over as the National President. Past President Sri Rameshwar Lal Kabra and Sri M.L. Jain have been made Patrons of the FTS." Ramnathpuram Anchal of Ekal Vidyalaya Movement in Tamil Nadu has achieved the honor of being the first Anchal managed by women fulltime workers. 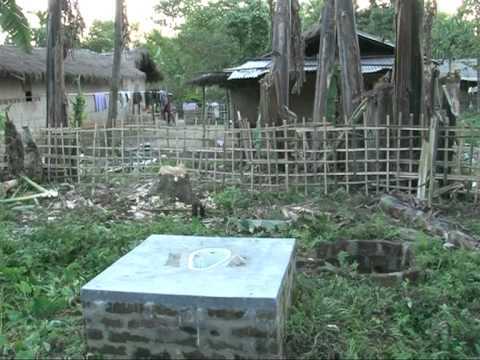 It has 180 Ekal Schools. An awareness programme about the aims and objectives of Ekal Abhiyan was held at Purnamad Bhawan, Kamwale Math, Somwar Peth, Tilakwadi, Belgaum on 26th July, 2009 with great enthusiasm. Dr. Kamalakar Acherekar was the chief Guest on the occassion. Among the prominent persons present were Sri Ganesh Shenoy, Akhil Bhatia, Sah-Yojana Pramukh, Suresh Hundre, President Ekal Abhiyan, Santosh Galgali of Zero Mass Co. and Uday Deshpande. There were about 80 participants in the programme who expressed desire that such programme should be organized at regular intervals. 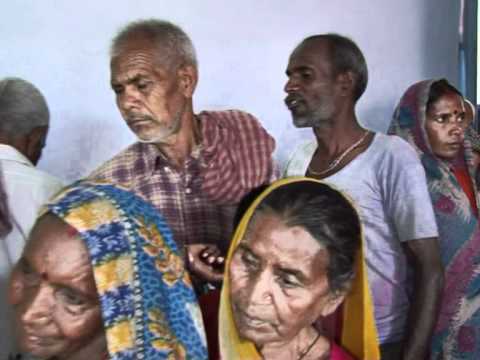 The villages of Swaroopganj Sanch in Sirohi Distt. of Rajasthan were illuminated by the light of solar lantern. It was a miracle for the students of Ekal School as they saw that much light for the first time. A total of 12 lanterns were distributed in the Ekal Schools of the Sanch. The Sanch Samiti has very much appreciated it and thanked the Ekal Volunteers for this wonderful gift. I along with my husband Sri Gouri Shankar Gupta went to attend the opening ceremony of 25th Chapter at Erode. The chapter opened with great applause. On 24th August, we went to visit Ekal School in Kodaikanal under Dindigul Anchal which was first run by EVFI. Now that the School has become MTS, it is being run by an SVO of Tamil Nadu. We visited two Schools. The first was at Vadakainniji village about 40 Kms. from Kodia. It is a big village on hills having a population of about 300. The School Code is BHTN0212306. The second School, Code No. BHTN0211101, was in Poomparai village about 20 Kms. from Kodia towards Keraka. It is Sanch Kendra with a population of about 5000 people in the valley. There are 30 Ekal Schools. Buses ply on the route to and fro once in a day.